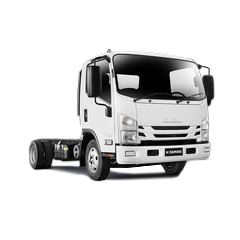 Isuzu’s heavy duty truck range is designed to lighten your load. 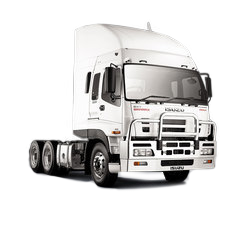 With configurations varying from 6x4 all the way up to 10x4, plus choices of transmissions, axles and suspensions, to handle most heavy jobs. Engine outputs exceed 300kW in our larger models, meaning that operators experience the same effortless performance that our lighter truck drivers get. 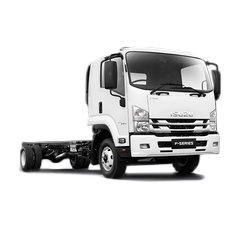 An Isuzu heavy duty truck is one serious beast, sourcing only the best components from North America and Europe. 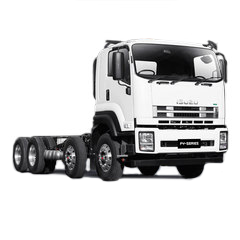 Our heavy duty range boasts the likes of Eaton, ZF, Meritor, Allison and Hendrickson in it’s list of components. 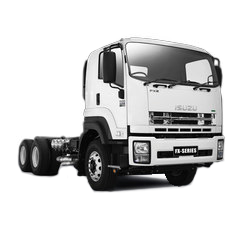 Furthermore, our FY models, feature both cross locks and diff locks as standard equipment. 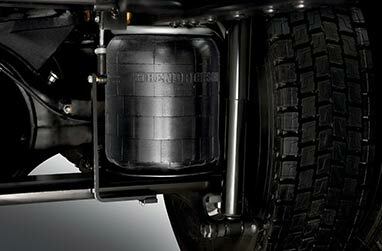 A well engineered truck doesn’t just stop at the nuts and bolts. 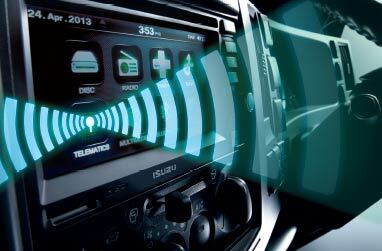 Every heavy duty model is fitted with our DAVE media system, which comes with digital radio, DVD, MP3, voice-control and Bluetooth connectivity, as well as the game-changing Isuzu ‘Connect’ Telematics system*, and of course, remote keyless entry. * Optional 3 year renewable subscription service. Cabs are anything but afterthoughts with Isuzu. For instance, you’ll find stacks of storage space and locations for all your gear. Along with heaps of room for you and your workmates as well, including generous stretch-out legroom. 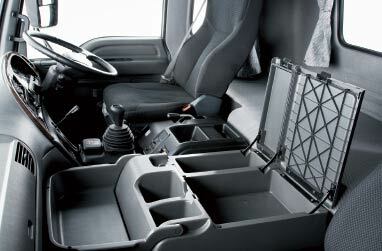 Although, they might spare a moment of jealousy towards your ISRI 6860 suspension seat. All in all, it’s a very comfy and accommodating place to be.